Over the past seven years, atelierjones has led groundbreaking work with the lower-carbon material, Mass Timber in the US. 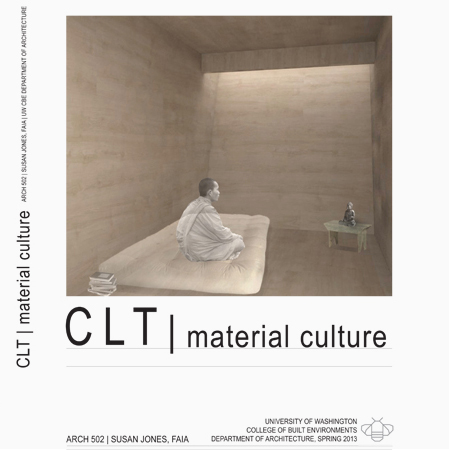 atelierjones completed the first cross-laminated timber (CLT) structure permitted in Seattle in 2015: a single family house, a church, using CLT as a 40’ high, non-structural wall completed in 2016 and two modular CLTSchools completed in 2017, all among the first CLT structures completed in the US. A nationally known pioneer on Mass Timber, Susan represents the American Institute of Architects on the International Code Council’s Tall Wood Building Committee to change American codes to allow highrise Mass Timber buildings in the US. Following the multi-year, arduous pro-bono committee work to research, write and pass the new Tall Wood Building Codes, she led an intensive effort in Washington State to implement them in early 2019, the first State to do so in the US. Her book, Mass Timber | Design and Research was published in 2018 by ORO Editions. Emergence of new building technologies and their ability to shape new experiences of space, light and materiality was a hallmark of early modernism. With the appearance of Cross Laminated Timber in central Europe in the mid-1990’s, the opportunity arose again to reconceive spatial and tectonic experiences. Cross Laminated Timber (CLT) arose as an ecological response and is now being proposed as an alternative to more carbon intensive materials of concrete and steel. Its use promotes timber as a viable building material that if grown, managed, and harvested responsibly, can continue to elevate the region of Cascadia as an innovative culture of highly sustainable strategies.